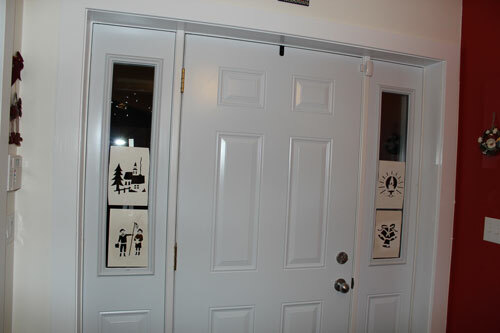 We used old stencils. I remember my mum using these with spray snow when I was a kid. 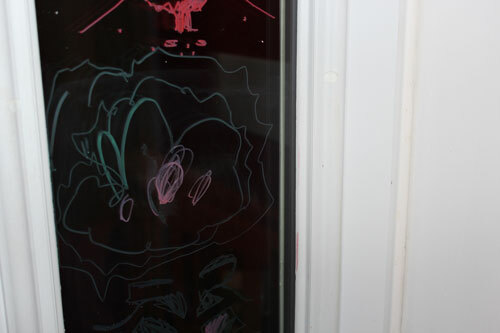 Daisy used the window markers to trace around the stencils, choosing her colours. 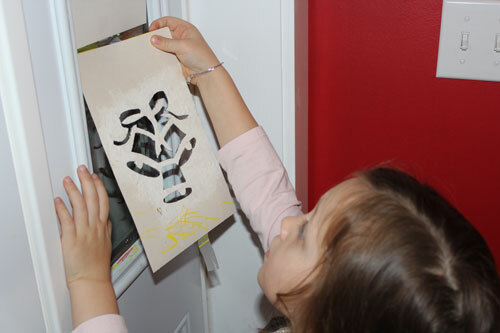 She carefully removed the stencils and touched up where necessary. She had missed parts but added them with help. The only colour that was a little pathetic was white. 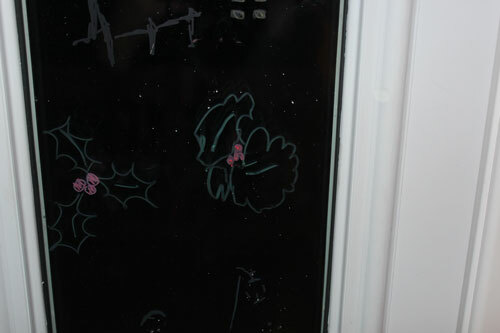 I drew a few holly leaves and berries and Daisy used it as a guide. We had a discussion about what holly is. We don’t have much growing here in Manitoba apparently it is flown in from California! Creative interpretive holly. Love it! 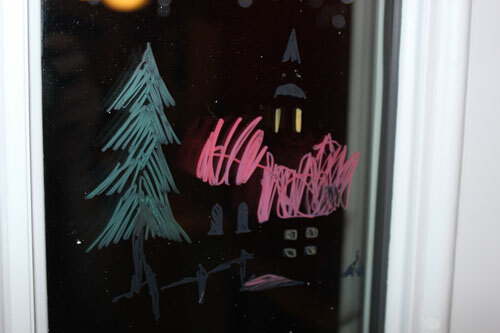 Window markers are only $2.95 and will be pulled out in our house when the windows are looking a little grubby. 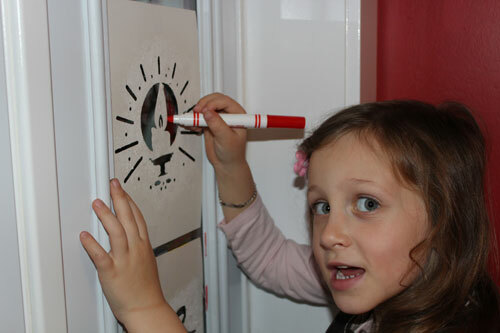 I think they would be great as an art extension activity in the classroom too. 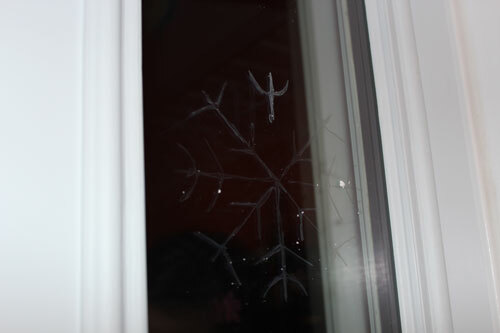 A frugal arty activity and a reminder to occasionally clean the windows!